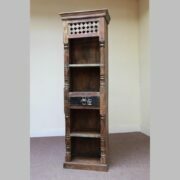 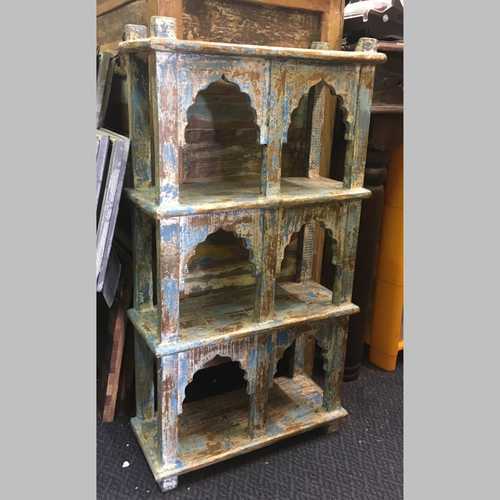 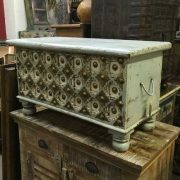 Display shelf unit with shelves and ornate Mihrab framing, finished in a distressed Jodhpur blues/greens. 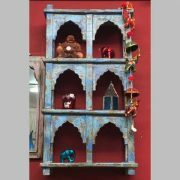 Able to be easily hung on a wall this lightweight shelving unit is the perfect solution for displaying your treasured ornaments and knick knacks. 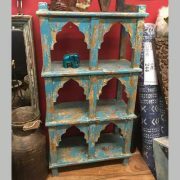 With 6 display holes, it is also possible to use the piece’s top for plants and ornaments. 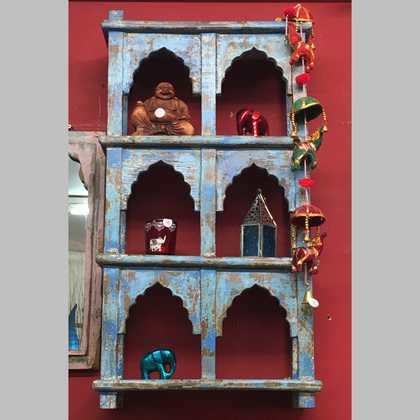 Each shelf has two Jodhpur style carved arches that wonderfully frame whatever is placed on the shelf. 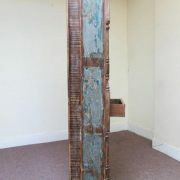 The finish of these pieces is distressed blues and greens with flashes of wood grain showing through. These shelves are perfect for a living room, dining room, hallway or landing. 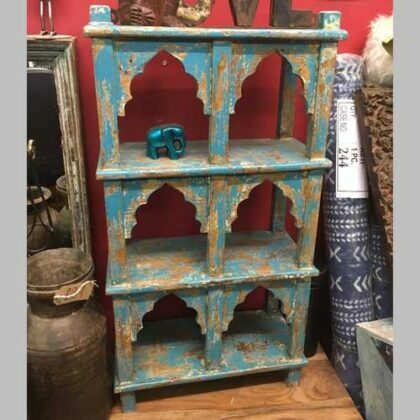 ONLY 6 hole now available.